Flowers make every girl happy! 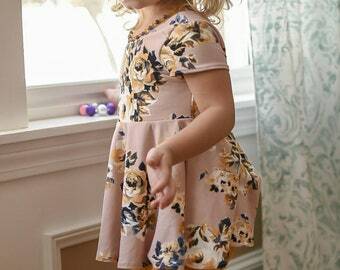 This lovely little girl’s dress features a classic style with vintage appeal to add a little spring and summer whimsy to her sweet wardrobe. With its beautiful simple lines, she can layer it with a tee or a delicious cardigan. 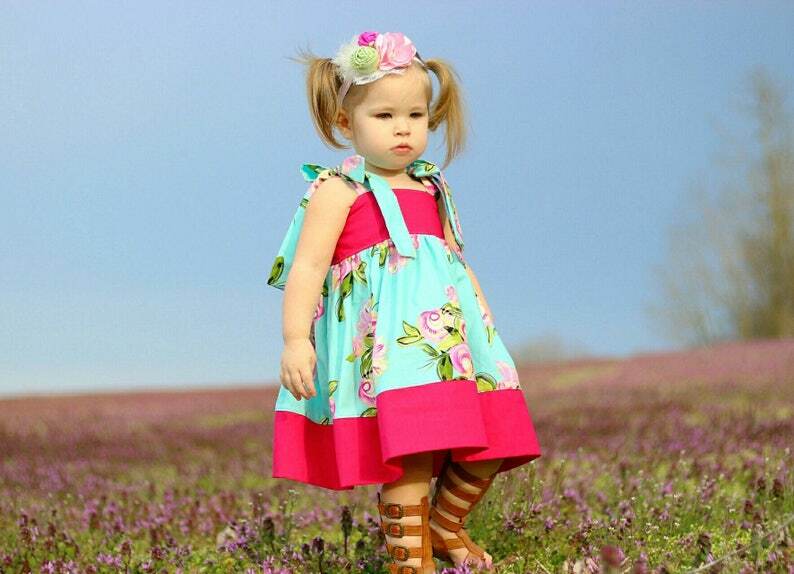 Add tights or leggings for more versatility and your little lady will be the talk of the town. For your very littles to your running and twirling sweeties, we have just what she needs.